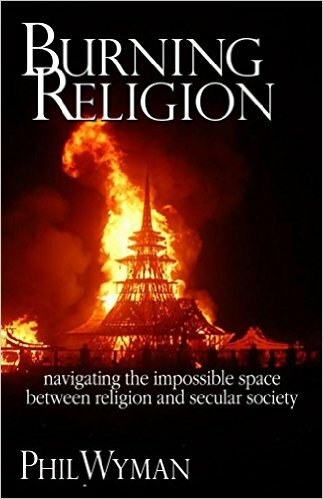 The second section of Burning Religion: navigating the impossible space between religion and secular society is the nitty-gritty theoretical work leading up to the idea that the navigating across the spaces of separation between wildly differing positions requires an answer, which literally comes out of nowhere. The typological model for answers birthed from nowhere comes in the form of the carnival and in the face of the clown. The links below lead the discussion pages, where you can debate, discuss, or otherwise remark about this section.